The Seven Canyons Trust, in partnership with Dominion Questar, the Jordan River Commission, Salt Lake City Arts Council, the Center for the Living City, ArtsBridge America, and the Glendale Community Council, is seeking an artist to assist with the design and implementation of a temporary installation at 1300 South 800 West in the Salt Lake City neighborhood of Glendale. The dual goals of the placemaking installation are to: (1) represent the three creeks – Red Butte, Emigration, and Parley’s Creeks – that flow underneath the site; and (2) to provide wayfinding to the Three Creeks Confluence, a block to the west of the site. This open space area, where 1300 South and California Avenue diverge, is the visual gateway to Glendale neighborhood. The Seven Canyons Trust works to daylight and rehabilitate the seven canyon creeks of Utah’s Wasatch Range, restoring beauty and health to the hydrology of the Salt Lake valley. Daylighting is a term to describe the uncovering of buried urban waters, bringing them up to the surface and restoring their stream channels. According to research by the Trust, over 21 miles of Salt Lake County’s seven main tributaries to the Jordan River are buried in underground culverts. By engaging locals to amplify their voices, the Trust promotes community stewardship that leads to action and attachment toward their hydrologic systems. At its inception in 2014, the Seven Canyons Trust began its work with the Three Creeks Confluence, the first phase of its 100 Years of Daylighting visioning document. This project involves the restoration of the combined convergence of three underground creeks – Red Butte, Emigration, and Parley’s Creeks – and the Jordan River. Its main goals include, expanding green infrastructure solutions to water quality impairments; enhancing the ecological value of the site and reactivate the neglected area; diversifying active transportation opportunities; and creating a gateway to the Jordan River for nearby community anchor institutions, schools, and the surrounding neighborhood. Applicants will submit completed proposals with all attachments outlined in Section H. A selection committee, consisting of representatives from each project partner listen in Section A, will choose up to three proposals to continue on to the next round. Artists will be notified at this point about their status. 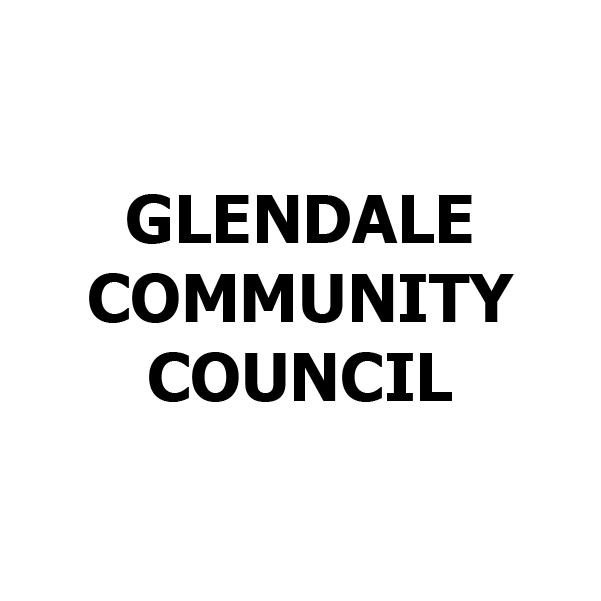 The selected artists will then create a 5-minute presentation to share their design during a Glendale Community Council meeting. Attendees of the meeting will be given an opportunity to vote on their preferred design. The artist and installation with the most votes will be chosen for implementation. This will be an opportunity for artists to network with the community. Design – How does the work, or series of works, accomplish the dual goals established in Section A, create a gateway to the Glendale neighborhood, and consider the community it represents? Are there any interactive elements? *Please note, the design must not alter the physical layout of the site, such as the use of concrete footings and/or excavation. Materials – Are the materials used appropriate for the public setting and the outdoors? Are any of the materials repurposed or recycled? Community Engagement – How does the applicant propose to involve members of the community in the design and/or implementation of the project. Does the installation fit within a community celebration hosted by the project partners, in conjunction with its construction? Maintenance – How does the applicant propose to adequately maintain the integrity of the installation? Is this plan reasonable over a five-month period? *Please note, the installation is temporary in nature. For purposes of this project, temporary should be defined as requiring less than one week to disassemble. Experience – Does the applicant have experience in implementing similar projects? Explain any past finished works that have particular relevance to this project. The selected artist will be awarded a $2,000 honorarium. This honorarium will fund expenses related to the labor and supplies needed to create the installation. The budget submitted by the artist will be used to guide funding disbursement. Disbursement will come in two installments, at the beginning and at implementation. Furthermore, the artist is encouraged to solicit further matching funding or in-kind supplies to supplement the project budget. *Please note, the following dates are subject to change beyond the proposal due date. Narrative – A two-page project narrative to explain in detail the design proposed by the artist. This shall include a brief summary of the project and the questions outlined in Section D.
Budget – A detailed project budget that delineates the cost associated with supplies and that of labor. Please provide enough information to determine the reasonableness of each budget item. If you plan to seek additional matching funds, whether in-kind or monetary, please provide the organization, business, or other partner providing the funds and whether it is secured, pending, or planned. Design Sketch/Rendering(s) – A rendering or sketch of the proposed installation, including any interactive elements. It is encouraged to provide both a perspective and site plan view. Examples of Past Work – A selection of up to ten images of past finished works, including pictures, renderings, and/or descriptions of the pieces. For any inquiries, please contact Brian Tonetti at brian@sevencanyonstrust.org or 585-703-8582. Click here for the Request for Proposals!